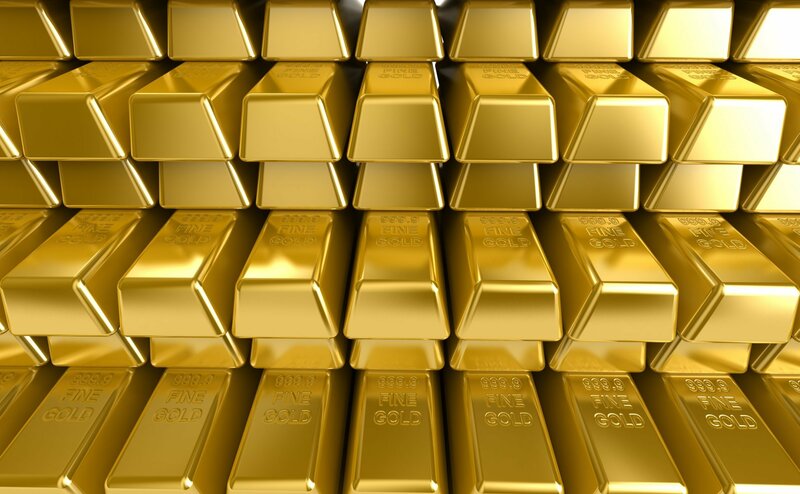 Yes you are going to see pauses and dips from time to time, but gold stocks are now in a big bull market that is going to last for years and we are here to help you get into the top metals and mining stocks to have the most effect on your account and generate the best returns you can possibly make. 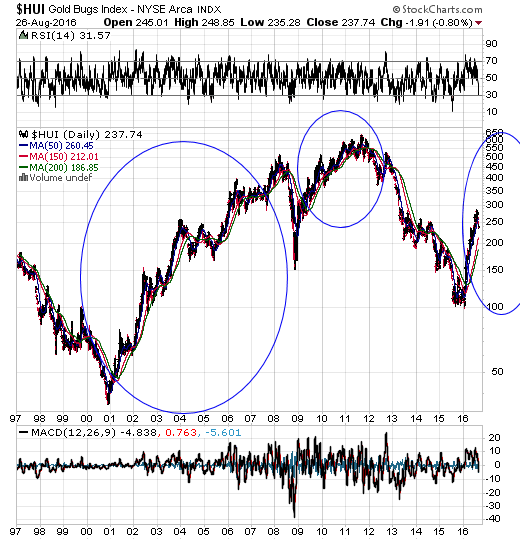 Take a look at this chart of the HUI miners index. Ok the HUI went up from 2001 to 2007 in a giant bull market and then fell hard in 2008. It then had a second bull market from 2008 to 2011 and then fell hard from 2012 till 2016. And now as I write this for you in the summer of 2016 it has been in a brand new bull market for the past few months. This is huge to know, because most bull markets last from three to five years. 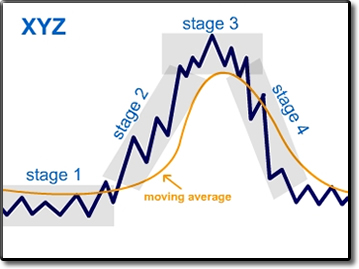 What you are seeing are the stages of a bull market. We are now in a stage two bull market for silver, gold, and the mining stocks. In big bull markets you will see the 150 and 200-day moving averages act as support. In bear markets they act as resistance and trend down. But in bull markets they act as good times to buy when prices dip down to them and you just keep on holding as the moving averages go up over time. 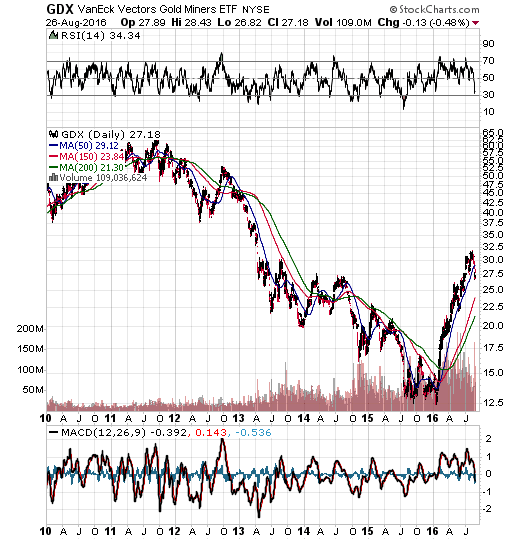 That is the situation we are now in when it comes to gold prices and the trend in big trading exchange traded funds like the GDX and GDJX as you can see in this chart. The blue and red lines in this chart are the 150 and 200-day moving averages for the GDX. You can see how they were simply trending down from 2011 until the first few months of 2016. When they did this they acted as price resistance for the GDX, because mining stocks were in a stage four bear market. But now those moving averages are trending up and will act as support for the years to come, because GDX and the HUI began a stage two bull market this year. This means now is exciting times to be investing and trading the top stock picks in this sector. The stocks that will go up the most are actually going to be the junior mining stocks. These type of plays will have the most effect on the accounts of people who get into them heavily. These are small cap stocks that go up and down even more than the sector they are in, because that is what small cap stocks do. They are more speculative stocks so are a good way to swing for big gains. Yes that can mean taking on more risks just as if you were playing baseball and swinging for home runs instead of line drives. These are mining companies that tend to be exploring for gold on their properties. If they make a big discovery such companies get taken out by the senior companies. And some of these companies are buying small dormant mines and putting them into production. When they do that they generate cash flow and explosive earnings growth, which analysts love to see. So fundamentals do still play a big factor in generating the best returns. There are over a thousand of these types of stocks trading and you do not want to think about buying them all. You just want to get into the best ones. The best way you can do that is follow someone who knows what they are doing and is on top of this sector. I recommend that you check out Mike Swanson's free stock market newsletter. It's totally free with updates on what is happening in the stock market and commodity world. He specializes in these type of plays. To do that just join his free newsletter email list by clicking here.